Austin Kuck is currently accepting commissions. Please contact us to learn more. 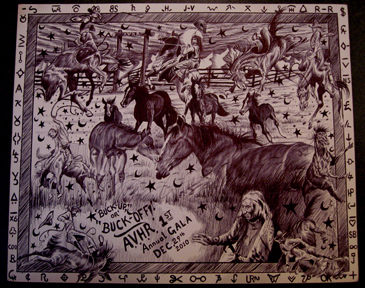 Austin was chosen as the official artist for the first annual Aspen Valley Horse Rescue 2010. He did the original drawing which was printed as posters (see below) for the event as a fund raiser for this very worthy cause.